In 1938, one of the most iconic productions of Walt Disney was Snow White and the Seven Dwarfs. The animated feature film made its debut in the movie industry and instantly became an overnight success. Aside from this film which is based on a lonely princess continually lorded over by her wicked stepmom. A stepmom who is also the queen was the first animated (feature-length) film created by Walt Disney. Without it, there is no telling exactly how the animation art would currently look like. # 2 For some time, Dopey’ went by the name Seventh’ simply because the animators could not make up their minds on the distinct features they wanted to afford him. # 4 Walt Disney (the founder of Mouse House) apparently acted the whole Snow White in front of his staff just before the conception of the film. According to Business Insider, when the staff arrived at a meeting he had called (Walt Disney), they found him standing alone on a dark stage with the spotlight on him. He did so before announcing that he was to turn it into a full-length animated feature film. # 5 Hollywood was convinced that Snow White would ultimately fail. So the movers and shakers in the industry nicknamed the film Walt Disney’s Folly. Unfortunately for them, the film became a massive success surprisingly becoming the highest grossing film of that time. # 6 There was a host of names proposed for the seven dwarfs and some of the ones that never cut included Deafy, Jump, Hickey, Dizzey, Baldy, Wheezy, Lazy, Swift, Nifty, Sniffy, Shorty, Tubby, Burpy, Stuffy. # 8 In one of the many deleted scenes of this film, one particular scene features the dwarfs gulping their soup happily and Snow White instructing them on how to eat like gentlemen. # 9 In the original script, Snow White was initially supposed to be blonde. # 10 Walt Disney drew inspiration from the Garry Oak trees which he had spotted on the Southern Vancouver Island located in British Columbia. The trees had a twisting shape which he used in designing the forest as used in the film. # 11 In Snow White, there are some Hidden Mickeys’ (and an exclusive website which tracks them). Just carefully look at the wall which is behind the Queen as she rushes down to her laboratory. # 12 In the list of Disney Princesses, Snow White is the youngest of them all at just 14 years old. # 13 As a measure to guarantee that every animal friend of Snow White was accurately portrayed. Walt Disney brought in some live animals and housed them in the Studio as a reference for the animators. # 14 In the process of making Snow White. Walt Disney apparently rewarded his staff a total of five dollars for every successful gag’ which could be incorporated in the film. One of the best examples is an idea from Ward Kimball. He proposed that the noses of the dwarfs pop over the footboards one by one while peeking at Snow White. #15 During the production phase, one animator advocated that all the clothing facial expressions of the dwarfs be made using patches, buttons, and stitching. #16 In the film, they almost included a prop like what is in the original Brothers Grimm Story. In this story, the Queen tried to murder Snow White using a poisoned comb. # 17 Singer and Actress Deanna Durbin just about voiced the Snow White part, but Walt Disney apparently felt that her voice sounded too mature.’ This is despite her being just 14 years old at the time. # 18 The Wicked Queen together with the old witch/hag were surprisingly all voiced by one actress, name Lucille LaVerne. Although it sounds funny, she was able to pull this off especially when voicing the hag, by removing her false teeth. # 19 While the Snow White film is known for breaking numerous records. One of the most significant ones is that it was the first full-length cel-animated feature in the history of motion picture. A cell in the definition is a transparent cellulose acetate sheet utilized as a medium for painting animation frames. Its transparent aspect is so that it can be laid over a painted background or other cells and consequently photographed. # 20 To accurately produce the rosy cheeks which Snow White is famous for. The women who were in the Ink and Paint department used real blush on the cels. One particular lady was so talented with applying Snow White’s makeup. She was hired to do it precisely for all close-ups. # 21 In the early 2000s, DisneyToon Studios, went on a venture to create a prequel to the Snow White film known as The Seven Dwarfs. However, in 2006, the new Chief Creative Officer in the Studio, Mr. John Lasseter, abruptly canceled the said project. The prequel was designed to give a detailed explanation of how all the seven dwarfs met together with Snow White’s father. He was killed by the Queen to assume the throne. The prequel was changed to concentrate on Dopey’s voice. # 22 Just a week after Snow White film premiered. Walt Disney appeared on the Time Magazine in their December 1937 issue. # 24 In the long list of movie premieres, Snow White was among the first films to sell movie merchandise. #25 One of the most iconic structures in Burbank is the Walt Disney Studios. Surprisingly, this structure was established by Walt Disney with the profits he amassed from the Snow White film. Its overall cost was about $4.5 million. # 26 The Snow White film was not released as a home video until 1994 in October. # 27 Finally, Snow White made history in the US and the world at large. It became the first American film to feature a soundtrack album which was released with it. Eight decades down the line and the conversation around the revolutionary animated cartoon feature by Walt Disney is as persistent as never before. The feature is famous for its master-class blending of fantasy, fairy tale, thrills, tears, and laughter. Remarkably redefining and restructuring the ground-breaking Brothers Grimm account, this uniquely crafted masterwork was the finesse product of numerous years of dedication and love perfectly outlined by the perfectionist in Walter Disney together with his able team. For anyone that has the opportunity to watch it, it is merely a complete reflection of cute, creepy, comical and charming-stacked with exciting characters. The remarkable tale of an outright gorgeous princess, a wicked witch, together with those adorable dwarfs indeed remains a timeless and exceptional treat for everyone-adults and kids alike. While it is a no brainer that this award-winning film revolves around Snow White. Little is said about the exciting and emotionally captivating part of the entire tale of the dwarfs. Although not as dashing as the little princess, or as cruel as the Queen of the land. These tiny figures make up most of the thrill in the film. The seven dwarfs are a blessing in disguise for the stunning princess. Having not only discovered her but also saving her multiple times from her sworn enemy – the wicked witch. Such is the popularity of this tale and the characters that for many of us, most, if not all names, would all come naturally in the event that anyone asked us for them. And while we are all accustomed to the seven dwarfs as the most revered friends of Snow White, rumor has it that there were more than just seven of these little buddies’ during production. Surprised? So is everyone else across the globe. Apparently, the ultimate list of characters mainly Grumpy, Doc, Happy, Bashful, Dopey, Sneezy, and Sleepy was dished out from an extensive collection of approximately 50 others and brainstormed by the entire crew. Initially, in the 1812 Grimm’s tale, all dwarves were anonymous. So who are these dwarfs? And what is the reason behind their abandoning? Snow White and the Seven Dwarfs – TOO OFFENSIVE? 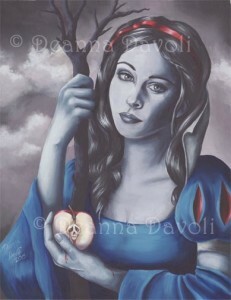 Artwork from the popular animated feature, Snow White, publicized previously unknown facts about the7 charming dwarfs. Apparently, several other dwarfs never made the cut. And while this may not come as a surprise, what is most captivating is not their ultimate unveiling, but the reason behind their exclusion. Get this; the dwarfs were omitted from the final cut since several of their names were apparently too offensive.’ Yes! You heard it right…too offensive. While the world has lived with the idea of a princess, seven dwarfs and a wicked witch, original artwork produced for the classic Walt Disney film indicates that there were more than a few other characters that made the shortlist but not the final piece. These figures were omitted from the final list for nothing other than their distinct monikers-which as it shows, featured dubious names such as Baldy, Deafy, and Tubby. The list goes on to include other dwarf names such as Wheezy, Lazy, and Shorty, before the production of the film. The story would not only feature Grumpy and co. But include a whole lot of other characters. 32 artifacts came from the initial production, and amazingly, they have already been scheduled for auction and subsequently sold to fans across the globe for a remarkable £80,000. The auctioning was courtesy of Bonhams, New York, and one lucky individual got to take home rare pieces of history. Although at the time of production little could be said about political correctness. Much has changed after the Great Depression period. It would be as such no surprise to see the characters stir some massive controversy in current times. Other outcasts in the scene include Dizzy, Jumpy, Gabby, Hickey, Sniffy, Nifty, Puffy, Swift, Burpy, and Stuffy. In the auction, various lots were put up for sale. Among the most prominent one is a distinct Snow White sketch with her animal friends closely surrounding her together. While also featuring each of the seven dwarfs capturing the famous Hi Ho’ scene. The auction also included a picture that featured the wicked witch enticing the princess, Snow White, using the poisoned apple. This piece together with a picture of the Evil Queen. These were sketched by Art Babbit-an iconic animator. Also, there is one sketch featuring Deafy which depicts a picture of a tunic-clad unhappily leaning towards the noise and covering his ears. Finally, there is also a portrait of Baldy who seems to be making frantic efforts of hiding his minor hair scarcity problem with a big hoodie. As well as also diverting all the attention courtesy of a pair of unfortunate tights and a remarkable tum. Despite the fact that most of the names that never made the cut-Deafy, Jumpy, Wheezy etc-were somewhat familiar, the newly unveiled pieces give a sense of how close several of these characters came to getting animated. According to one Dr. Williamson, C, who is the entertainment director at Bonhams-the auction spot- the choice of names used on the final draft is not only more creative and captivating but also represents a sense of emotion. The names suit the characters since they mainly center on personality as opposed to physicality. For a film widely seen as among the best works of the iconic, Walt Disney, it is incredible to discover that there is more than one aspect that makes it unique. Nonetheless, it remains a ground-breaking release that not only amassed massive revenues across the globe but also set the stage for modern animation.